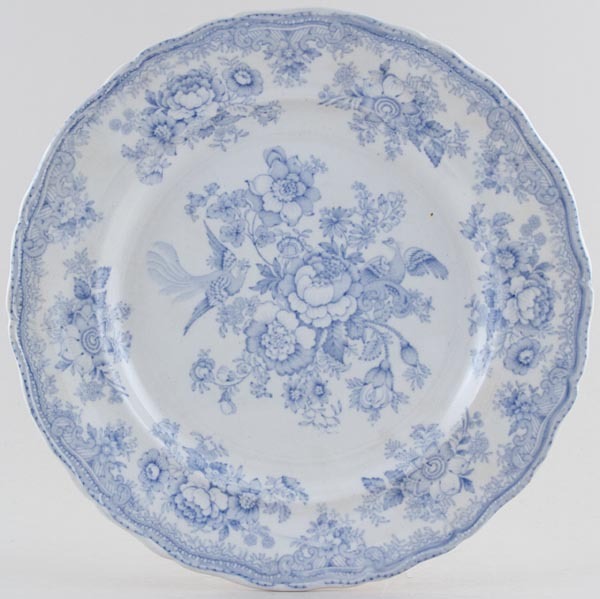 Large wavy rim plate. Backstamp: Asiatic Pheasants. Some surface scratching, light all over crazing with a little very minor discolouration on the back. Overall a lovely plate.